Synopsis: “This is a story that takes place in two cities, Taipei and Beijing, about eight lonely souls searching for contentment. A romantic comedy where everything that happens and where every sacrifice is made for LOVE” (Gala Entertainment). 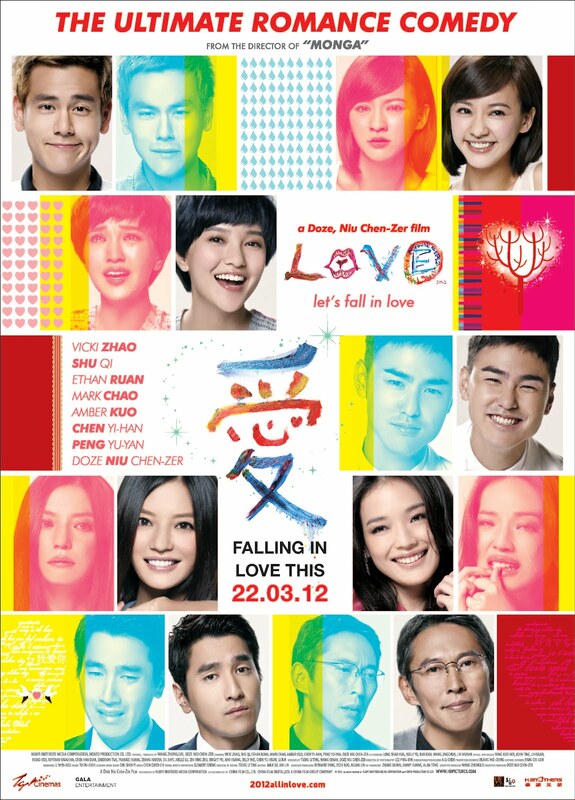 Verdict: Not sure if this film is considered a Chinese chick flick but it has good humour, excellent cinematography, well written plots and great acting as well. The film lives up to its powerful title – Love, educating viewers much about the subject through its wide range of scenarios convincingly and entertainingly. However, it lacks of a more satisfying ending and a more involving music score. Favourite scene: The intro is about 15 minutes or so and the whole of it seems to be taken in one shot. Not to mention that it manages to connect all of the main characters in their own sub-storylines from one location to another. Malaysian censorship: All make-out scenes are cut. Fetishes? Zoe has a thing for stammerers like Kuan (Ethan Ruan) since young and Kuan seems to be attracted to Zoe’s rumoured smelly feet. Mark on the other hand seems to like the smell of Xiao Ye’s hair very much. Special thanks to Gala Entertainment Sdn Bhd for the press screening of the film.